Congratulations Christine, and thanks for your kind words! Shoot me an email with your full name and shipping address (link's in the sidebar --->) and I'll get you your prize asap! Enjoy! When I need some creative inspiration (or a little distraction) I love to browse Pinterest and see what the crafty geniuses out there are up to. Today's post is inspired by something I found on Pinterest recently, and I thought it would be fun to show you my own interpretation of this idea. As soon as I saw this I thought of the Lucky 8 Punches! 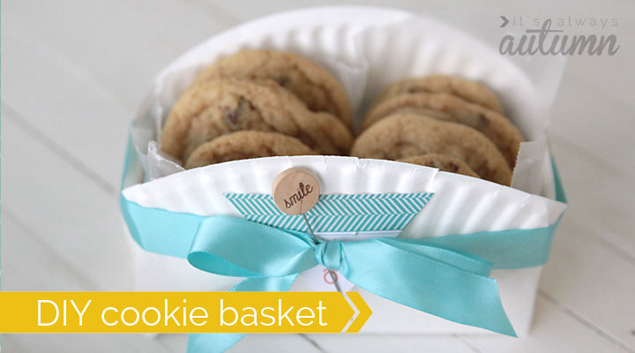 Some of the designs are round and they would make the perfect fancy version of these genius little paper plate cookie baskets. Then I folded it and hot glued the ends. I added a border punched with my Raindrop 2 Edge Punch, some Aqua Baker's Twine, a Chalkboard Embossed Sticker, and some Enamel Shapes. The heart and sentiment were cut from Chalkboard Journaling Cards. Designer tip: don't forget to browse through your journaling cards for sentiments and embellishments you can cut or punch out! 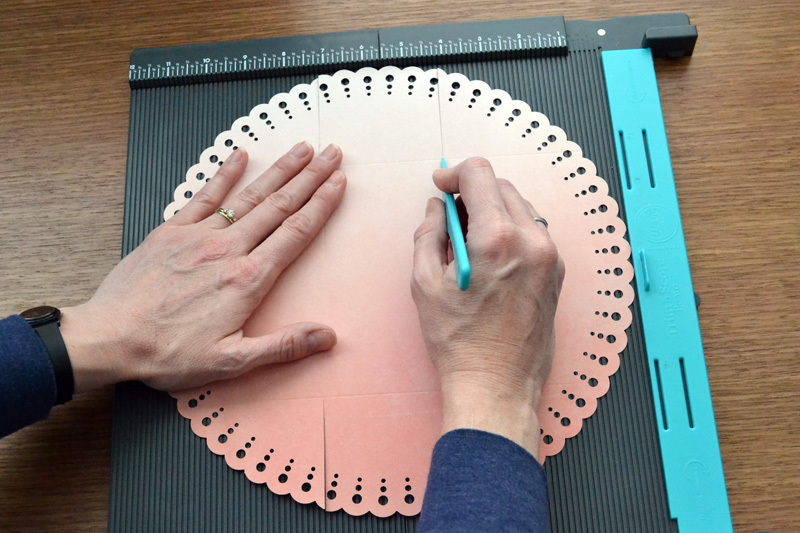 Give these a try with your favorite Lucky 8 Punch, or even a large circle cut from patterned paper. So...where do you like to find your crafty inspiration? Please share your favorite sources with me!